Can These Two Friends from Opposite Worlds Find Love? 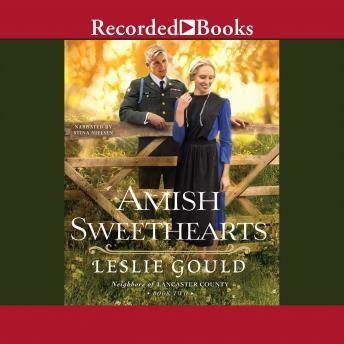 They've been best friends for years, but as high school ends, Zane Beck can't help but look at his Amish neighbor, Lila Lehman, with different eyes. Her controlling father sees only one future for Lila, though, and arranges for her to be courted by an upstanding young Amish man. When Zane sees the two together, his plans for the future crumble, and he impulsively enlists in the Army, following in his father's footsteps. However, the passing of years and the distance between them isn't enough to halt their now hidden feelings for each other. If being together used to be difficult, It's now impossible, especially with the Amish opposed to war. Zane's service takes a dramatic turn when he's sent to Afghanistan. Being on the front line and the reality of taking a life has him questioning whether he can continue to serve or not. But all choices have consequences-both his and hers. With Lila preparing to marry another, will these one-time sweethearts ever find the life together that they both still long for?